Our brand new series Systematic Soundscapes is for fans of club music made with highgrade and original synth sounds and without many times used vocal or sound sound samples. All tracks come along with fresh and unheard vibes. 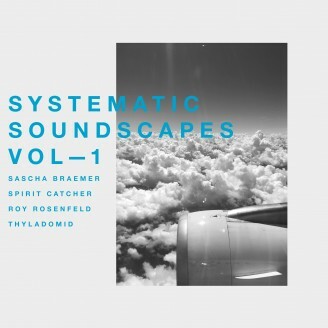 For the first volume which was compiled by Marc Romboy, Sascha Braemer celebrates his label debut with the moving „Butterflies“, followed by high energy rhythms by Spirit Catcher from Belgium who have already produced many tracks on the label. Roy Rosenfeld contributes „Distorted reality“, which is in the best tradition of his music released on KX and Systematic, straight, powerful and touching. And also Thyladomid has his debut with „ Devil´s dance“, musical stuff as we know it from the label.